The FA have decided not to charge Tottenham manager Harry Redknapp for his open criticism of referee Mark Clattenburg‘s decision to allow Manchester United’s controversial second goal to stand on Saturday evening – despite accusing the official of being both ‘scandalous’ and ‘farcical’ in equal measure, as well as hinting that both Clattenburg and his assistants would merely fabricate an explanation if asked for one. 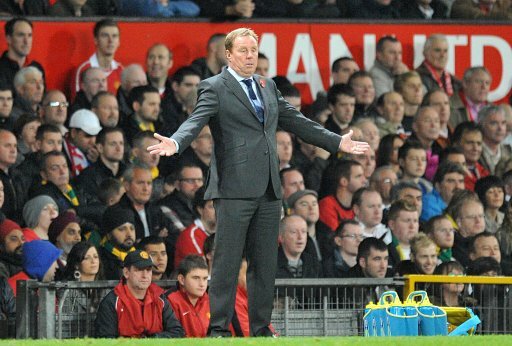 Redknapp then went on to threaten a media shutout if the FA continued with their threat to bring charges of improper conduct about him, although it now seems that the organisation haven’t seen fit to take any formal action – possibly in a bid to keep the next England manager sweet. Although, going on past form, it’s far more likely that they’ve just bottled it completely. Harry got it spot on so what charge could he face?